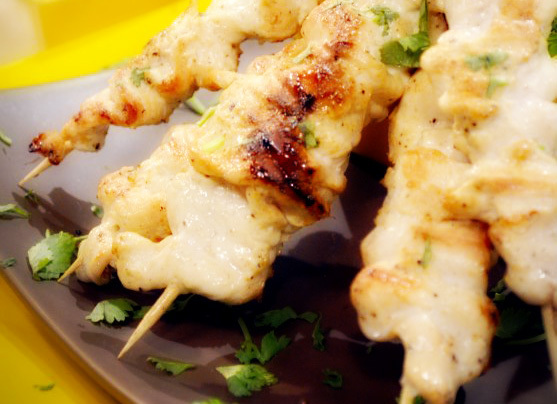 From Thailand, Chef Boy Logro gives us Magic Chicken Satay. At first the dish may sound intimidating but trust the idol sa kusina to make it all appear easy and even effortless. To add an extra zing to this Bangkok delicacy, he suggests adding panang curry paste to the dipping sauce to make it super hot and spicy, which is an essential definition of Thai foods. 1 Whisk together first 3 ingredients. Marinate chicken in this mixture for at least 1 hour. 2 Skewer chicken into bamboo sticks and grill over charcoal. Serve with peanut sauce.